The CompassIntel A-List Index is a proprietary research framework using metrics compilation, economic indicators, vendor tracking analysis, firmographics, market indicators, quantitative tracking, and analytics to provide a scoring and ranking system for vendors in the mobile, IoT, and emerging technologies markets. The higher the score, the higher the rank. Total scores and ranks indicate a vendor is best in class in the given market area, or in our case an "A-List" in the industry. In order to determine which vendors to include in the Index research, a direct focus on key metrics, market metrics, and secondary research is conducted to narrow down the final vendors evaluated. Once vendors are selected, research is then conducted to gather key metrics, intelligence, and other data based on publicly available information, through vendor briefings and meetings, related and historical research, research conducted using 3rd party sources, existing database market metrics, and analyst expertise given market coverage and related foundational knowledge base. Where relevant, Compass Intelligence also uses its existing database of market forecasts, business models, quarterly tracking data, vendor analysis, competitive research, and database insights to further validate, refine, and adjust the framework and research process. Compass Intelligence's (www.compassintel.com) team of analysts leverage available data, metrics, rankings, demographic data, internal research, and 3rd party resources to use as the basis and foundation of the working model and framework. In addition, the analyst makes core decisions on relevant research elements based on the market dynamics and unique characteristics of each given data metric. Some of the elements researched are not discovered or made known, and in these cases, the analyst will make assumptions to develop a sound model for scoring. Select metrics are then scaled on a score ranging from as little as 1-4 to as large as 1-12. These scores are also weighted where appropriate, and tallied to summarize final score per vendor and thus the resulting “INDEX”. Upon final scoring completion, the vendors are then ranked from highest to lowest scores and the resulting index for the top vendors is displayed. As the models are refined, there are standard categories or elements of the framework that will be listed below and updated on an ongoing basis. Please contact info@compassintelligence for additional information. Calculations are made for each vendor based on total points and weighting is applied across all metrics and the total score is used to construct the final index and resulting rank of the vendors. The vendor selections are compiled and curated using 1000+ news articles, PDF reports, summaries, and research to develop a list of final vendors to be evaluated. The research process includes a review of articles, case studies, vendor website viewing, interviews, existing reports, vendor presentations, videos, earnings and financial reports, and other information. The four primary framework elements are the starting point for all A-List Index research programs. Under each of the four framework elements is a list of related metrics and research criteria that is evaluated across the vendor ecosystem. ​Thre primary categories of markets are covered as part of the A-List Index research including Internet of Things or IoT, Mobile, and Emerging Technologies. 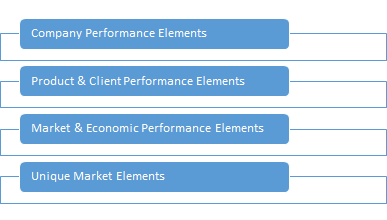 ​A typical framework is sampled below, yet some A-List Index markets may include additional or unique tracking elements not listed below. Note: Each model has similar columns and some unique metrics that are specific to each market model being tracked. Up to 7 metrics or categories are included within each primary category. This data is this transferred to a scoring, weighting, and ranking system with final results.